See those little white dots,,,,those are on a X5 E70 right rear airbag,,,those are the leaks I found, here a better picture,,,customer said the right rear suspension starts to sag when parked for a short time,,,,so I took some soap water and sprayed down the airbags,,,,sometime this works,,,,it’s a 50% chance that you find a leak,,,but I got lucky on this one,,,,I have also seen the airline to the airbag start to leak,,,also the valve on the air pump has leaked,,,,when that leaks the both rear airbags will lose air pressure. 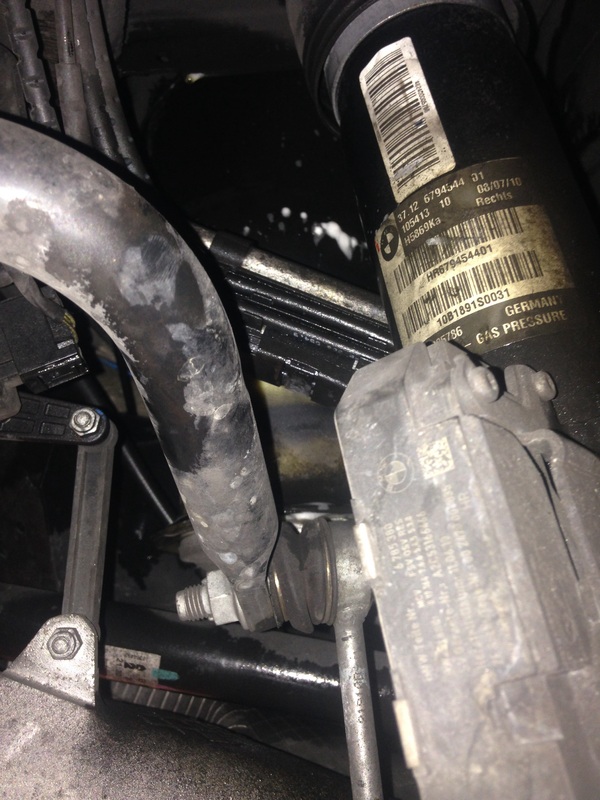 This entry was posted in Uncategorized and tagged leaking, rear airbag, x5. Bookmark the permalink. Is it a similar setup in the rear of the 750Li? No repair, just replace, right? 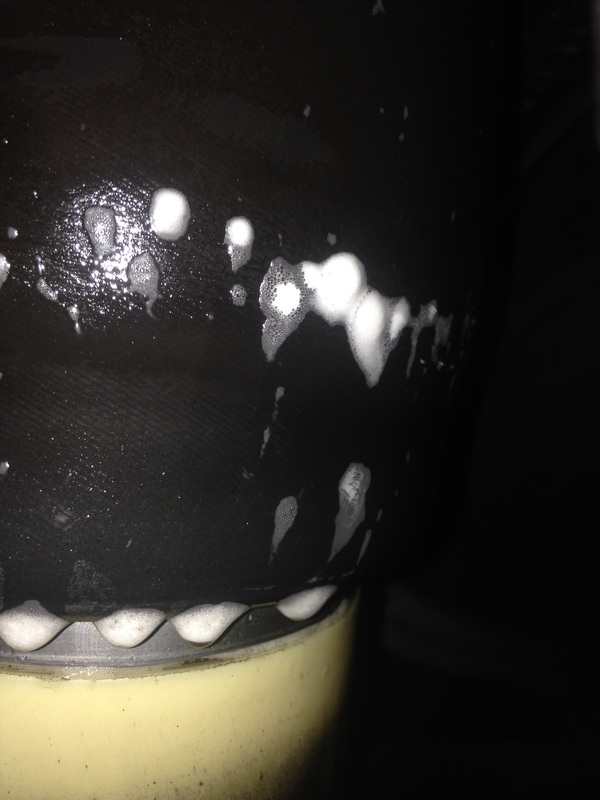 How do you diagnose the pump or lines. My RR airbag would leak and be low every time I fly out of town. So I replaced both airbags. Next trip it was low again. So guessing the airline is leaking? Suggestions? is it possible to install aftermarket conversion shocks and springs on a bmwx5 to replace aiřbag shocks.and how costly is it? Yes anything can be done with the right amount of money,,,,you will have to install rear springs and the rear arms they sit on,,,,this is not going to be cheap,,,,why are we considering do that?